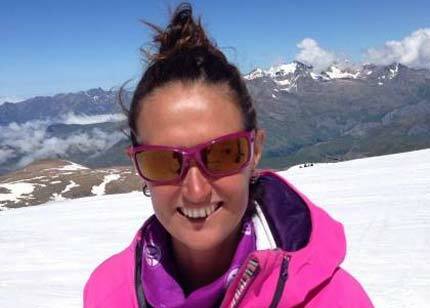 TipTop Ski Coaching is run by Alexandra Chapman a BASI qualified professional ski instructor and coach. We offer courses for all ages and levels every Summer, Autumn and Winter in Les Deux Alpes. From beginners right through to instructor training. We also have a 7 week GAP programme for trainee instructors wanting to gain their level 1 and 2 BASI qualifications. We are looking forward to skiing with you, what ever your level we will share our passion for the mountains and the sport! We are now also available to book for longer periods in other resorts! Please contact us for bespoke packages. We are available for private lessons, Private group lessons and will run training courses for BASI ski instructor qualifications and Off piste courses. I became a ski instructor and coach due to my passion for sport, snowsports in particular and most importantly my love of teaching and coaching. I am BASI level 4 qualified with full French equivalence and have loved every moment of this wonderful job for the last 12 years, more recently teaching and coaching both summer and winter. I have experience of coaching and teaching all over the world, Northern and Southern Hemisphere. And strongly believe summer skiing is fantastic for performance coaching amongst other things! Looking forward to seeing you on the hill and perfecting your turns with you! TipTop Ski Coaching love working with you to improve your skiing and ensure you have a fantastic time. We have a passion for the mountains and ski instruction that we would love to share with you.